What to expect during your newborn session. Newborn photography is not easy. Believe me, before I did several hours of training, learning and mentoring, I was absolutely horrible. I was not confident in myself and my nervousness rubbed off onto the babies. Since having my own son, I have learned that babies aren't scary. They just want to be swaddled, warm, cuddled and asleep! The studio is kept at a balmy 80-85 degrees Fahrenheit. Babies love to be warm and even if you keep your air conditioning on in your home, I'm sure you bundle your little one up so they do not get cold. Since we will be wrapping the baby and also doing nakey poses, we like to keep the babies warm so they stay asleep and comfortable. Feel free to bring drinks, snacks and even lunch! Sessions take up to 3 hours. This will give your baby plenty of time to nurse, cuddle, change diapers, get those burps out and snuggle with Momma if needed. Siblings and other family members are more than welcome to come to a session. If we are doing family portraits, I suggest neutral colors to compliment a natural look. Dark, bright or neon colors are not cute. No stripes or too tight clothing that you can't breath and feel uncomfortable. After family portraits are done, I encourage dad or a family member to take them out for some fun at a local park or out to breakfast at the Diner down the street. I want to have my undivided attention on your new baby and not have any distractions. Since Mom will be staying with me and the baby, we will do Mom and baby portraits at this time. Then we will move onto baby portraits. A few weeks before your due date, we will go over color schemes, themes, ideas and poses. Please make sure to let me know ahead of time if you are bringing a special outfit or prop so that I can be prepared. Once we are finished with your baby's portraits we will sit down and pick a date for you to come back to see your images. I will have all the products that I offer out so that you can touch and feel them. 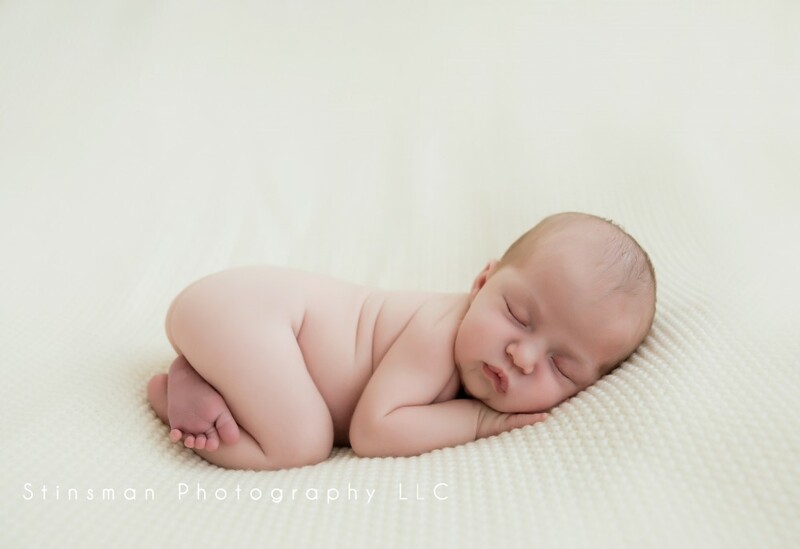 Newborn sessions take about 3-4 weeks to be completely edited. I look forward to your session!